After last issue’s dramatic cliffhanger, the story continue at a gripping pace, complete with panels full of blood, violence and other matters that never would’ve passed the ABC network censor back in the day! 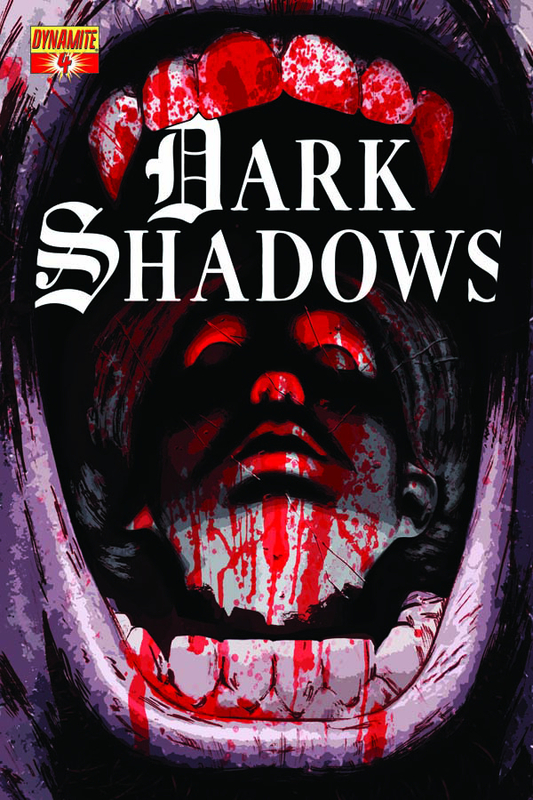 It’s not quite the level of the 1970 feature film House of Dark Shadows in terms of gore, but it certainly ratchets up the dramatic intensity; both Aaron Campbell’s evocative illustrations and Carlos Lopez’s colouring deserve special mention for the sequences set on the Collinsport docks and later atop Widow’s Hill, where events reach an effective resolution. 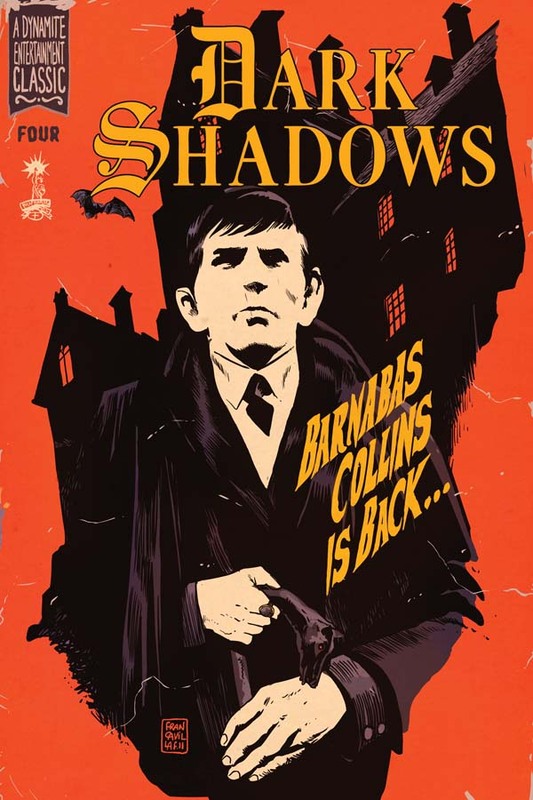 As for Angelique, her motivations remain unchanging, but at least Stuart Manning finds a plausible new angle for her obsessive love for Barnabas. However, the “rules” of her latest gambit are sketchily explained at best, other than that she needs others’ life energy to stay flesh and blood, and expenditure of magical power uses up this “life force” at a precipitous rate. Readers more used to the original TV show’s frequently languid pace might be taken aback at how rapidly things are wrapped up here; even the artwork seems hastily sketched at times, adding subconsciously to the frantic atmosphere at Quentin, Barnabas and Julia rush about to prevent further tragedy from striking the Collins family. As much as I’m enjoying this new comic series, the first story arc was really wrapped up far too quickly. How did the statue of Angelique come to be in the woods in the first place? David’s “rampant pyromania”–will that be explored? Why did Angelique suddenly inherit the powers of her Parallel Time counterpart (ie draining the life force to stay warm)? Too many questions keep popping up in my mind! Oh, and I’m still disappointed the figure on the cliff in Barnabas’ dream didn’t turn out to be Vicky. What a wasted opportunity!